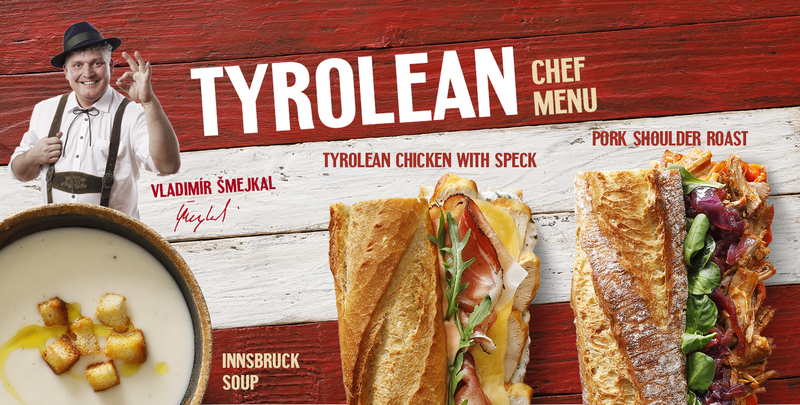 Tyrolean Chef Menu was prepared for you by a chef and a gourmet consultant Vladimír Šmejkal. He had spent three years in the Tyrolean Alps where he was employed in four-star hotels and discovered the ins and outs of local cuisine from its masters. Austrian Tyrol. 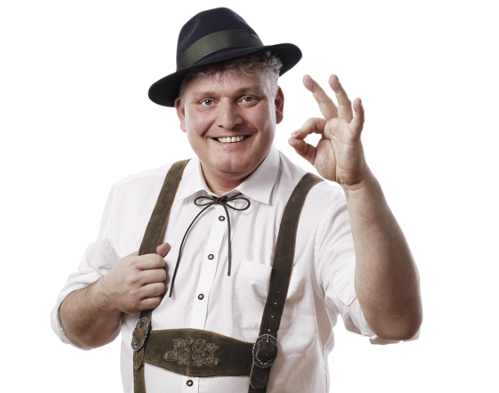 Do you envision its natural wonders, dirndel-clad women, men in lederhosen? Perhaps yodeling carrying over steep hills and green valleys? We have another tip for you: its fine cuisine that became the inspiration for our new winter Chef Menu. Pork shoulder roast will leave you plenty sated. The juicy pork shoulder is coupled with caramelized onion on wine and jam of roast peppers and chilli. Fresh lamb’s tongue salad adds a refreshing touch to the baguette. You’ll figure out the reason why Innsbruck is “in” when you have a taste of our Innsbruck soup. Cream of garlic confit with croutons will warm you up when you come back from a skiing trip or a walk around the city.. If you’re still holding on to your New Year’s resolutions, grab a snack from the Fit Calories menu. You can choose from two healthy and tasty options. Distinctive Beetroot miniburgers are complemented with Tyrolean sauce and romaine lettuce. To boot, beetroot is a significant source of carotene and vitamin C - your key allies during wintertime. You’ll find the Pear & Gorgonzola sandwich to be full of flavor. Candied pear in caramel is paired up with characteristic blue cheese, cranberries and baby spinach. All in a toasted pumpkinseed bread.